During the Toronto Raptors official press conference for the 2016 NBA All-Star Game, the team announced that Rapper/Actor Drake will be the face of the Raptors. 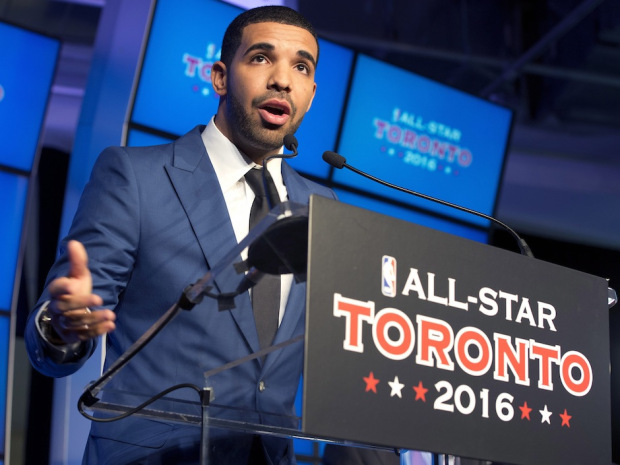 The Raptors and Drake will team up to give Canada’s lone NBA franchise a much-needed makeover. Joining the team as a Global Ambassador, Drake will oversee the redesign of the franchise’s brand and will also launch a clothing line associated with the team. It’s hoped that Drake, an international superstar, Toronto-native and diehard Raptors fan, will not only attract fans but draw also top-level free agents to Toronto.